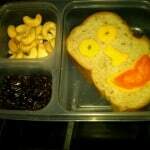 I am still making cool lunches for my son. It’s a nasty little trick I’m playing on him. 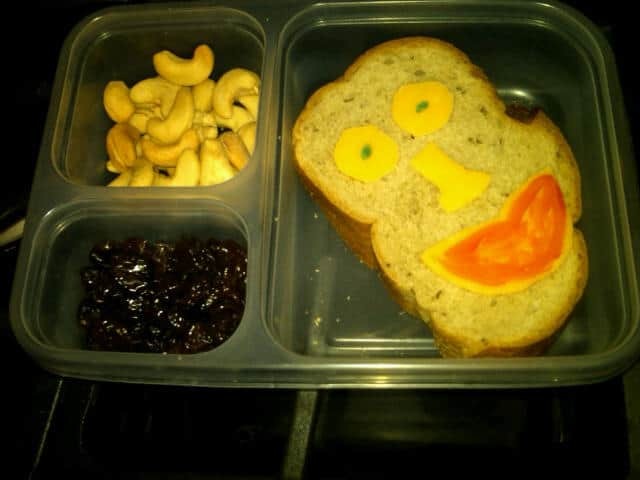 I make him a lunch that is exciting to open each day, and he stops telling me how much he hates school in the morning. 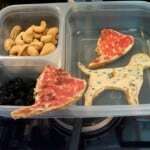 My trick is working, and I don’t even feel bad about it. 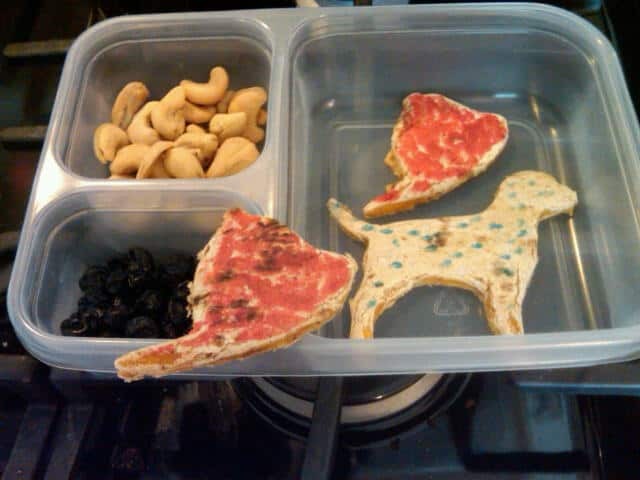 The first lunch was a dalmatian and fire hat quesadilla, made with Cookie Cutters and Food Markers .